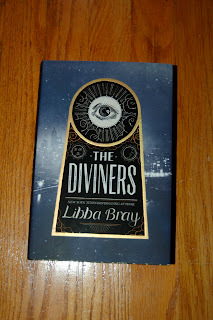 Midnyte Reader: Hudson Valley YA Society: Libba Bray and Gwenda Bond. Hudson Valley YA Society: Libba Bray and Gwenda Bond. When: Sunday, December 9, 2012.
Who: Gwen Bond and Libba Bray. Gwenda Bond (L) and Libba Bray. Much hilarity ensued when this event began as Gwenda and Libba engaged in what they call, "Juvenalia," wherein they read some works from their childhood. Gwenda told us about one of her first stories, The Special Horse, a world where all horses don't have happy endings, except of course, for the Special Horse. 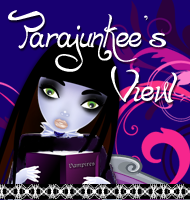 Gwenda then read Drunken Frankestein, a poignant portrayal of the poor monster who just wants to be loved. I give it two thumbs up. Libba confessed that she used to write a lot of Halloween stories (awesome...) and was obsessed with the Hammer movies. 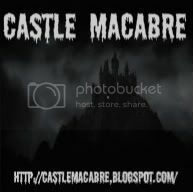 She read a story called Death Castle, a wacky tale of 4 girls going trick or treating to a haunted house and what happens thereafter. There was time travel and trap doors with chutes. Very creative and terrific to see that what starts out as just the pure joy of writing can develop into a published novel. 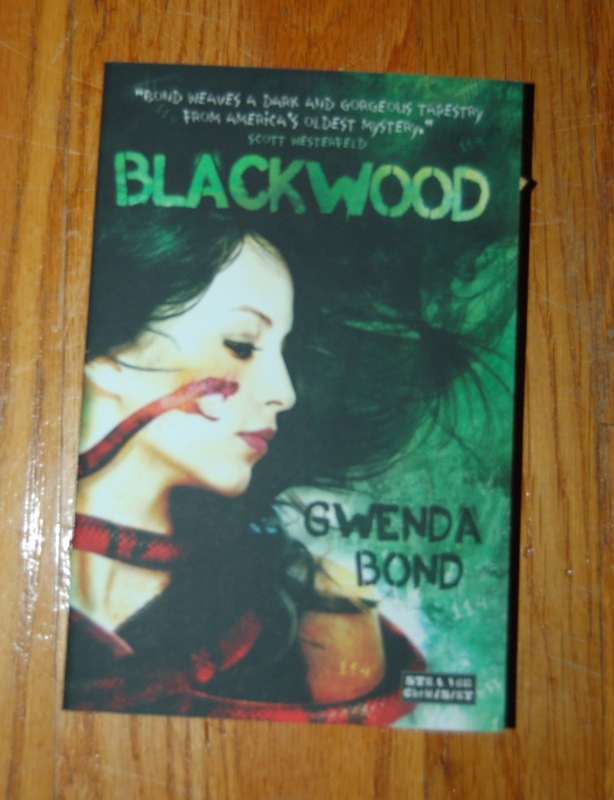 Gwenda's idea for Blackwood, based on the mysterious disappearance of an entire community at Roanoke Island came to her "...in its entirety." She then researched and used a lot of local color. 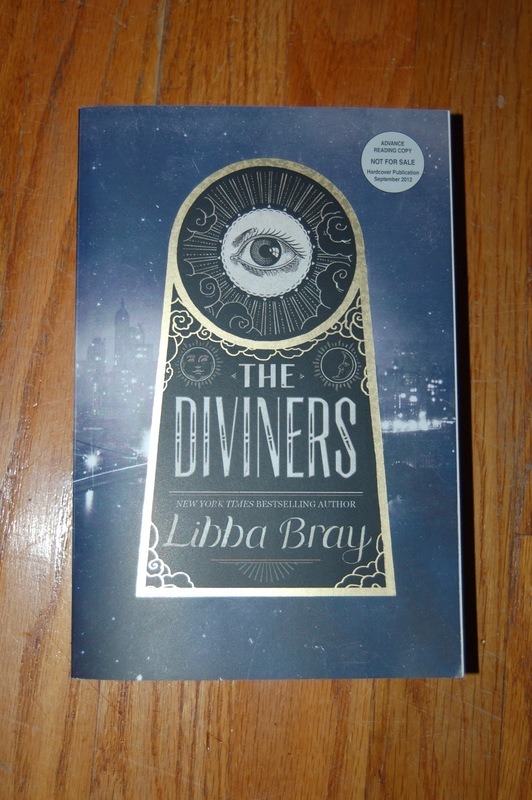 Libba also did a lot of research for the novel The Diviners, which takes place in the 1920s. "The 20's feel like it came out of central casting in Hollywood, but I had no idea how fascinating it would be." I'm not quite halfway through the volumnious novel and it's hard to believe all the events that took place during this time, from numbers running to flappers, crazy ideas and big dreams. Libba then chanted the Naughty John song from her book. Eerie. Gwenda chose her main character's name, Miranda, after the character in Shakespeare's The Tempest. Libba's main character Evangaline (Evie) was named after a woman who was in a photo with her grandmother from the 1920s. Real life Evie, scowled at the camera and her grandmother reported that she was "hot to trot." 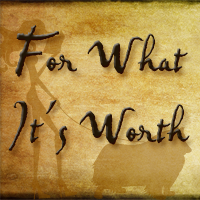 What made the two ladies want to become authors? Gwenda always wanted to write. After college she was a screenwriter for three years, but didn't want to work in the Hollywood mindset. Libba stated that she never knew she wanted to be a writer yet she was always writing. Libba then revealed a very difficult time in her life. She was in a car accident that led her to lose an eye. At eighteen. Eighteen. When she went to college that following Fall, she dealt with her depression by writing. "I wrote everything I felt I couldn't say out loud. Writing saved my life." Their advice to writers? Have personal courage. Gwenda referenced Jennifer Jacobson who asks herself "Is it true yet?" She also stressed the importance of writing in a community and having a mix of support people. And, to remember that your path as an artist is yours. Don't compare yourself with others. Libba advised that the only way to write a book is to write a book. The first one may come out like the first pancake. Why did they choose YA? Gwen was reading a lot of YA and realized this was her "voice." Libba agreed and went on to say that YA felt natural and she realized a teenage voice was "the voice." 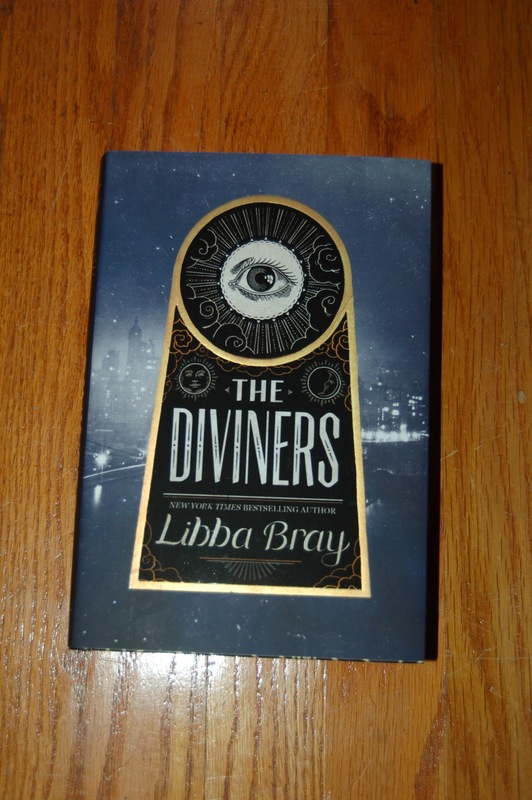 What I also found interesting about the two authors is that Libba loves to write within the setting of the historical periods she loves. Gwenda would prefer to create a future world instead of worrying about being innaccurate in the past. Some books they recommend? 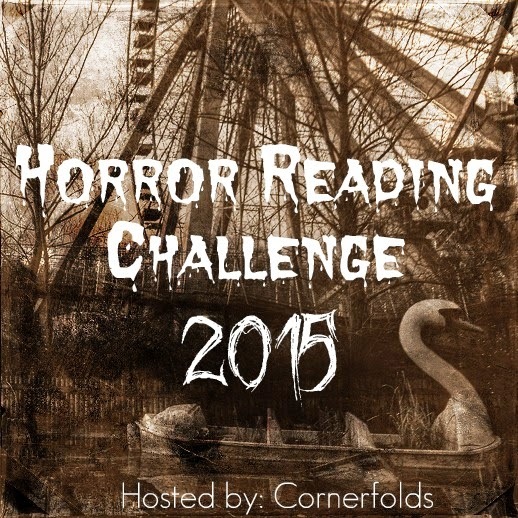 The Raven Boys by Maggie Stiefvater and Code Name Verity by Elizabeth Wein. While waiting for the signing line to get shorter, I participated in the Book Angel Program. 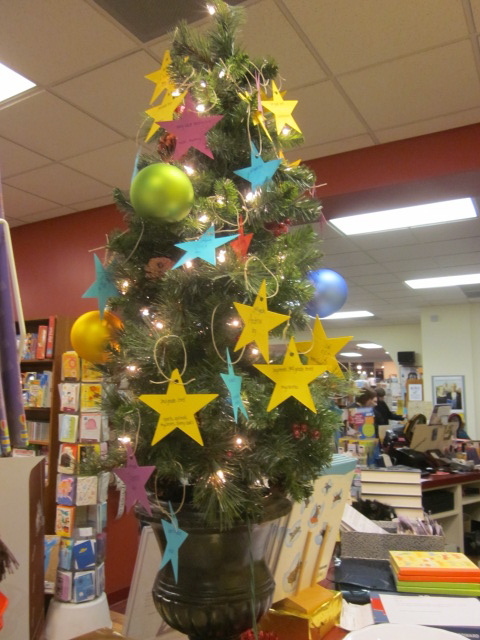 The goal is to help get books under the Christmas trees of children in the area. To find out more about the Book Angel Program click HERE. I chose the star you see above and Jennifer, bookseller extraordinaire, helped me pick out Flash Burnout by L.K. Madigan for Frank, whose interests are music and mysteries. What a wonderful way to get into the Holiday spirit. Buying books for myself, the Book Angel Program and...you! See below! ~This giveaway is for the books pictured. I am giving away four (4) prizes. 1. 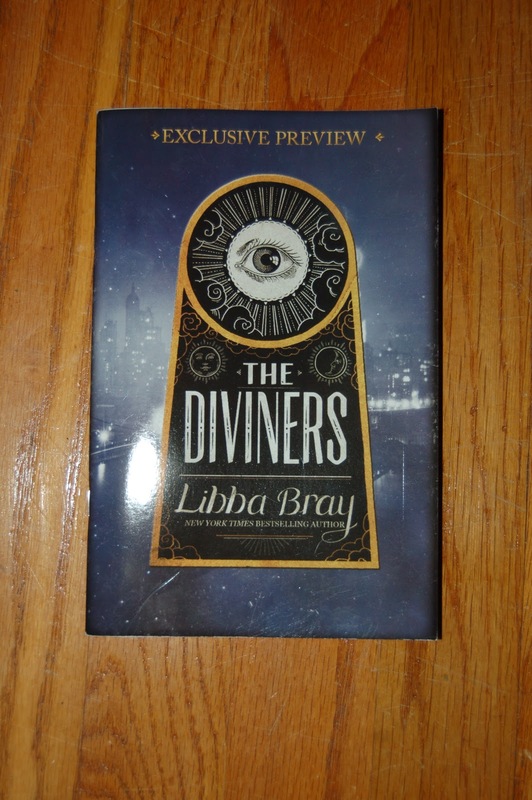 Signed, hardcover copy of The Diviners by Libba Bray. 2. 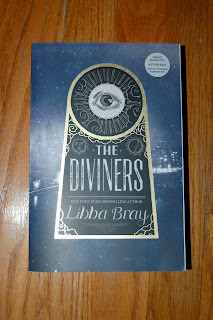 Signed copy of ARC of The Diviners by Libba Bray. 3. Signed copy of Blackwood by Gwenda Bond. 4. 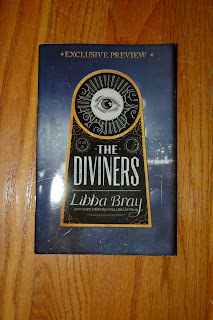 Preview Sample of The Diviners by Libba Bray (not signed). ~The first winner will pick their first choice. Second winner picks from the remaining prizes and so on. ~Tell me which book you would like in order. 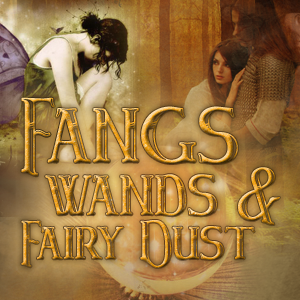 ~Contest ends on Thursday, September 27, 2012 at 12:01 a.m.
How cool! And how inspiring too - their "juvenalia" sounds great and really amusing, and I love their advice for writers. It sounds like a really fun event, and it's great that something like the Book Angel Program was there to appeal to book lovers who would likely want to pass along that love of reading. I'm sad i didn't attend this event, but I'm hoping to attend some in the coming year, maybe I will run into you at one!! 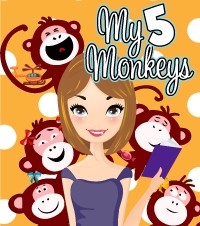 Thanks for sharing this post and the giveaway! !